High-precision imported guide rails are durable. 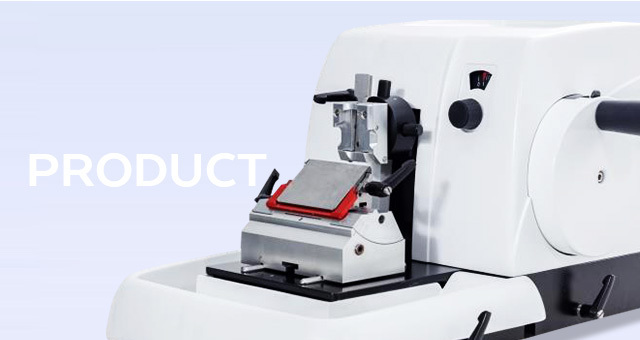 Precise micro-motion sampling system ensures the accuracy of the drive system. The elaborate balance adjustment system makes the hand wheel rotation evenly. Two sets of locking systems can lock the hand wheel at any point. Blade holder can be transversely displaced and equipped with a red hand-guard to ensure personnel&apos;s safety. Quick trimming function enables operators to switch between trimming and section quickly. Ergonomic design and avoidi ce, reducing frictional resistance. Magnetically connect waste sheet slots for easy removal and cleaning. Embedded microcomputer controls precise section. The elaborate balance adjustment system, which is conducive to operator&apos;s sectioningcontrol. Accurate sample positioning system, axis X and Y can be adjustable in 8°. The blade holder with red hand-guard device ensures the safety of the operator. Quick trimming with one key reset function. Two kinds of electric speeds in coarse feed satisfy different specimens’ section requirements. One time injection moulding housing, beautiful and practical. LCD display is easy to learn and use.